After "Panda", Desiigner had to come with another banger to follow up his super popping single. The rapper released his next single "Timmy Turner" and the fans are receiving this one just as well as the first single. What else could make "Timmy Turner" even more popular you may ask.... well just Kanye West to track and BAM, the rest is history! 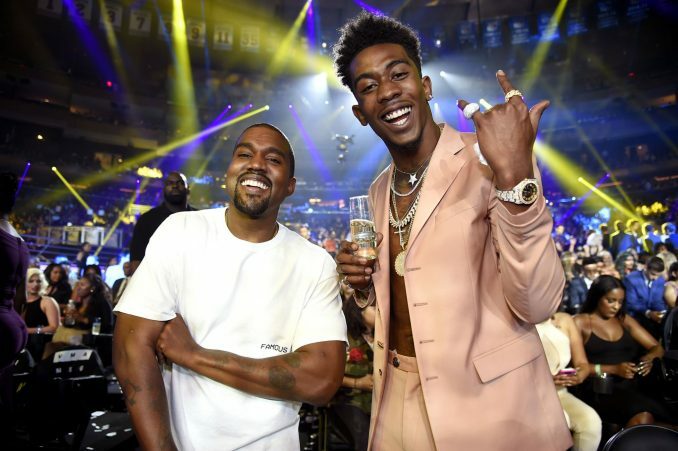 Desiigner is signed to Yeezy's G.O.O.D Music Label and I must say that Kanye has one helluva line up right now. Desiigner is the new kid on the block, who seems to be enjoying this ride and the fans are entertained by him. West also has Big Sean on the label, along with Teyana Taylor, Pusha T, and many others. Most of the artist on the label are doing their thang right now so it's safe to say that G.O.O.D. is good. Check out the remix below and decide which version your feeling more.